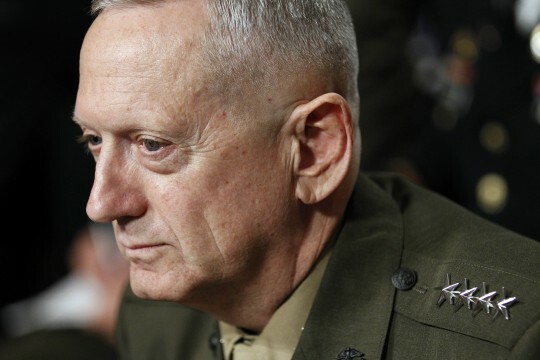 "Word on the national security street is that General James Mattis is being given the bum's rush out of his job as commander of Central Command, and is being told to vacate his office several months earlier than planned," reports veteran national security correspondent Thomas E. Ricks. Why the hurry? Pentagon insiders say that he rubbed civilian officials the wrong way — not because he went all "mad dog," which is his public image, and the view at the White House, but rather because he pushed the civilians so hard on considering the second- and third-order consequences of military action against Iran. Some of those questions apparently were uncomfortable. Like, what do you do with Iran once the nuclear issue is resolved and it remains a foe? What do you do if Iran then develops conventional capabilities that could make it hazardous for U.S. Navy ships to operate in the Persian Gulf? He kept saying, "And then what? Inquiry along these lines apparently was not welcomed — at least in the CENTCOM view. The White House view, apparently, is that Mattis was too hawkish, which is not something I believe, having seen him in the field over the years. I'd call him a tough-minded realist, someone who'd rather have tea with you than shoot you, but is happy to end the conversation either way. The reported departure will have consequences for U.S.-Iranian relations, civil-military relations, Marine Corps morale, and inter-service politics, Ricks writes. "I am at the point where I don't trust his national security team," he adds. "They strike me as politicized, defensive and narrow. These are people who will not recognize it when they screw up, and will treat as enemies anyone who tells them they are doing that. And that is how things like Vietnam get repeated. Harsh words, I know. But I am worried." Obama is expected to pursue a diplomatic resolution to the Iranian nuclear program this year. Evidence of Iranian entanglement in Iraq, low-intensity conflict zones in Africa and the Middle East, the Syrian civil war, Afghanistan, and in international terrorism continues to mount. More from Ricks on the Mattis controversy here. This entry was posted in National Security and tagged Barack Obama, Iran, James Mattis, Marines, Middle East, Obama Administration. Bookmark the permalink.